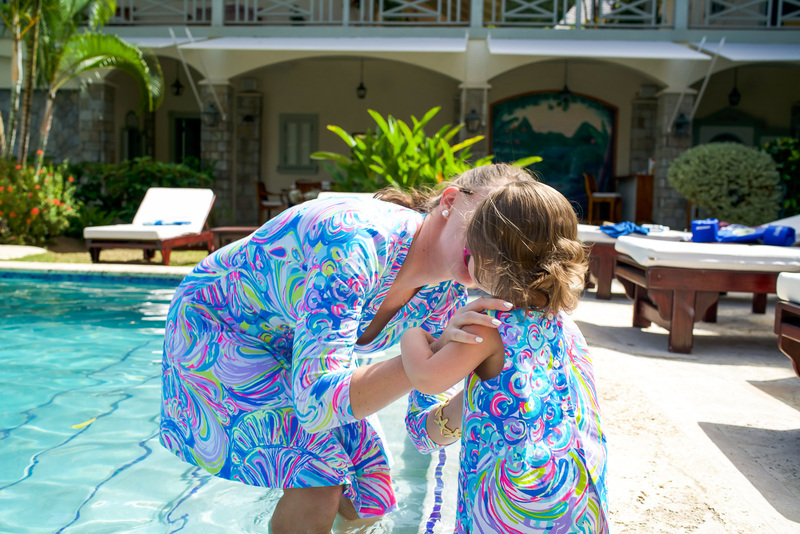 There is no one in the game that does resort chic better than Lilly Pulitzer. So you know I had to snag some new dresses for my trip to Saint Lucia for me and Ryan! Of course this was my first time being able to rock a mommy-and-me outfit and I loved it! It warms my heart to wear a matching dress with Ryan even though she hated getting her photo taken. 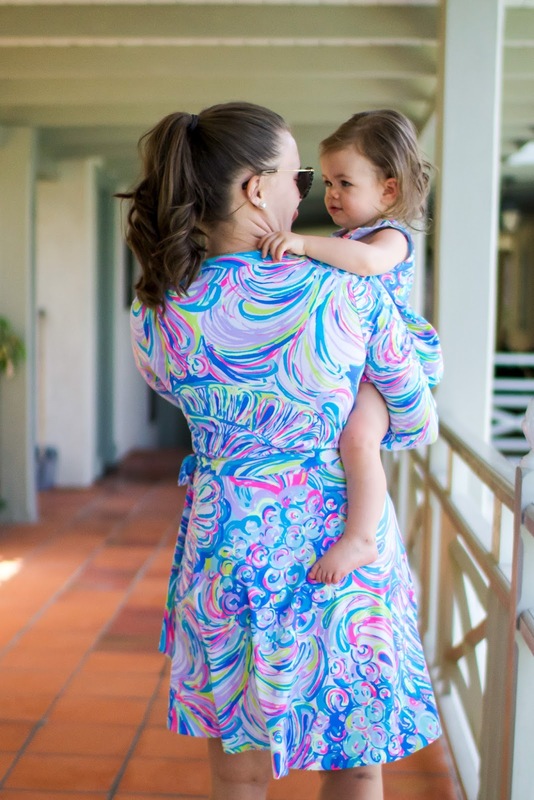 Every chance I get, I try and buy her a little Lilly shift dress because they are so cute on little girls. Plus, these dresses really do grow nicely with them. Because they have separate bloomers, it doesn't matter how tall she's getting. I know it's a weird thing to go on about but I'm just so happy she wears Lilly! On to my dress... The Emila Wrap dress is amazing. I'm biased because I live for wrap dresses but it seriously fits all bodies so well and is made out of this really great material that is thick and doesn't wrinkle easily! And of course the Tana shift. 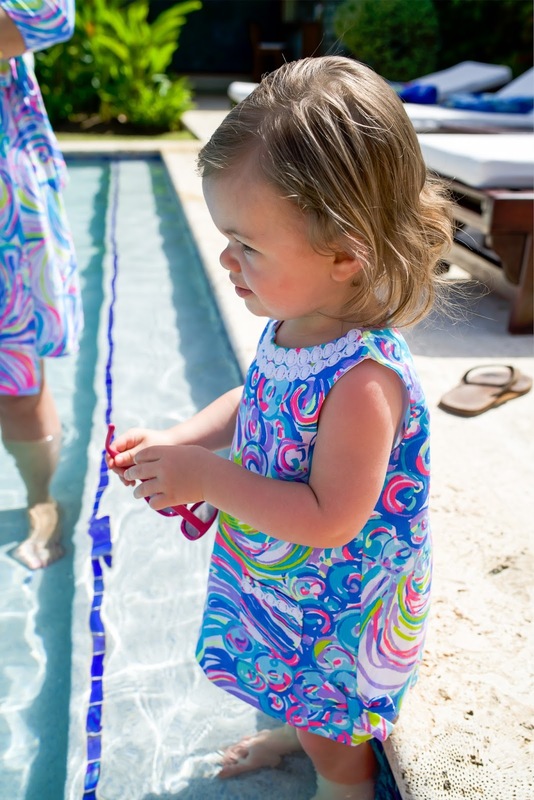 How can you not love a classic Lilly shift! The gold lace down the front and the small scallop detailing on the dress itself is not to be missed. Both make this dress absolutely gorgeous and I can't wait to wear it again now that the weather in New York is heating up! P.S. The Shopbop sale is going on NOW and I snagged a few things (duh) like this Ferregamo belt, this CUTE wicker bag and new white jeans for summer. Use code EVENT17 !